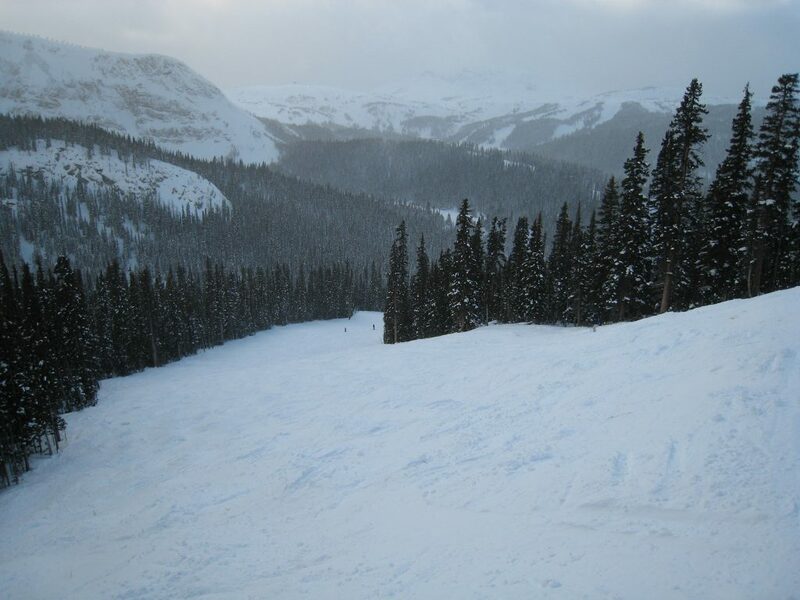 Sunshine Village is near Banff, Alberta and is known for having the deepest most reliable snowpack of any of the Alberta resorts. It’s not as spectacular as nearby Lake Louise, but with consistent early snowfall, modern lifts, and being closer to Banff than Louise, it’s a popular choice in Alberta. 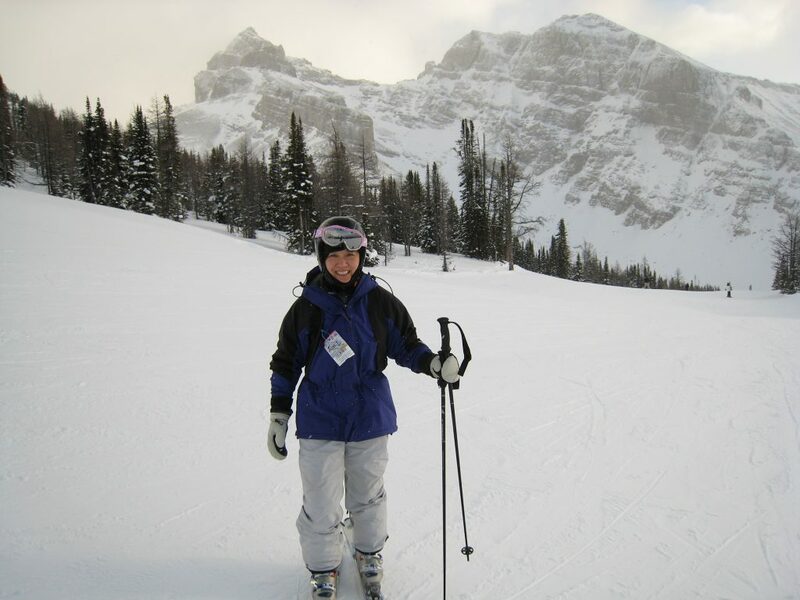 We skied Sunshine Village in 2007 on our trip to Banff when we skied Mt. 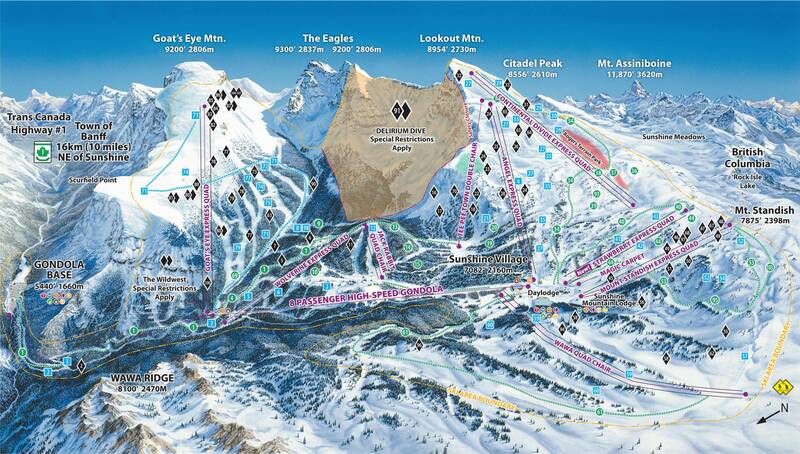 Norquay, Sunshine Village, and Lake Louise. 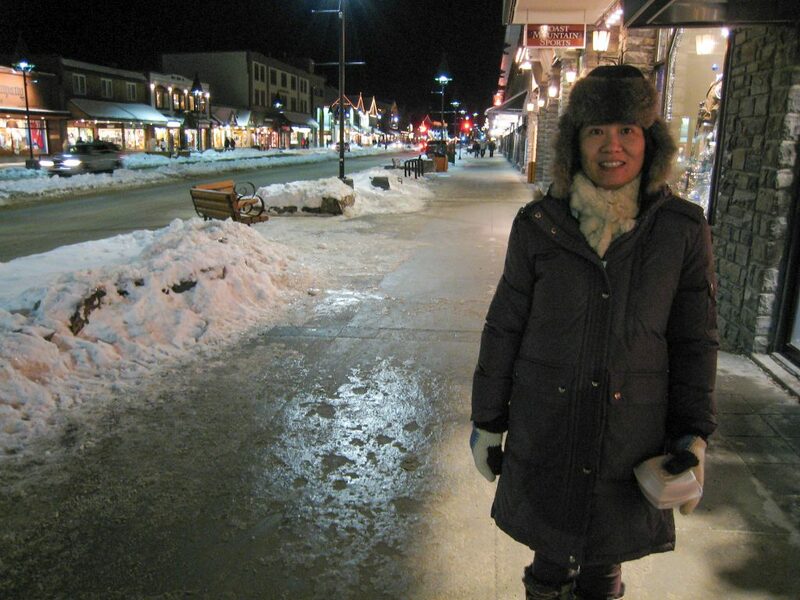 Sunshine Village is only 10 miles from Banff and it’s an easy drive on mostly freeway through some of the most spectacular scenery imaginable. 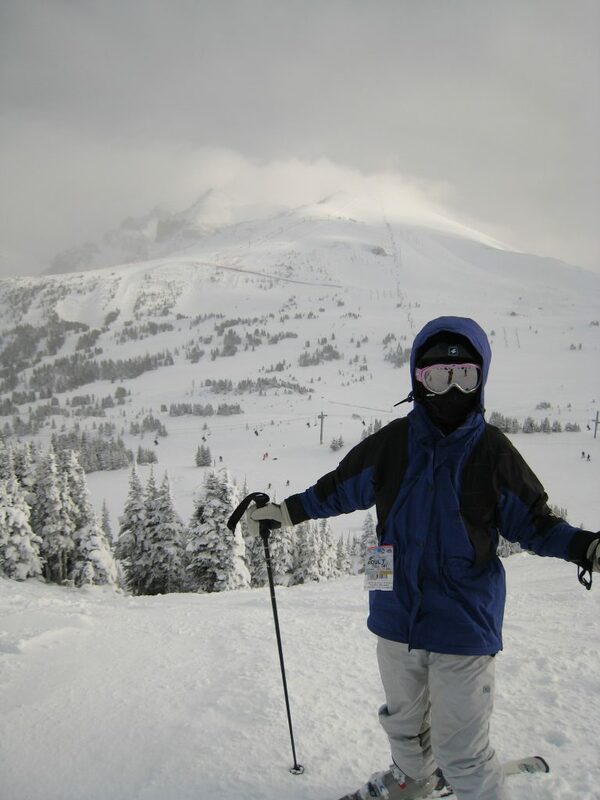 Being just before Christmas, we didn’t get to experience Sunshine Village when it was fully open, so this review should be taken in that context. As you arrive at the base, you can’t see any of the resort from the parking lot. There is a gondola that takes you up to the real ski area 5KM up and to the left. The base of the gondola is in deep forest and much below the altitude where there is enough snow to ski without snowmaking. Sunshine Village is one of those places that does better on paper with impressive stats than it does when you are actually skiing it. The stats say 3,154′ of vertical, but there are a couple of problems: The main one is that the base of the real ski terrain is actually the base of Goat’s Eye, because everything below that is a 5KM skiway back to the parking lot. You would never intentionally ski that other than to get back at the end of the day. The vertical from the bottom of Goat’s Eye to the top is only 2,362′, which is adequate but not in the same league as Lake Louise. The other problem is that there is only one chair with more than 1,500 ft of vertical. Goat’s Eye is an impressive 1,900′ of vertical on it’s own mountain, and the 3 others in the 1,200-1,400 vertical range are on Lookout Mountain fanning out to cover most of it. The rest have very little vertical and are either very flat or have short runs. 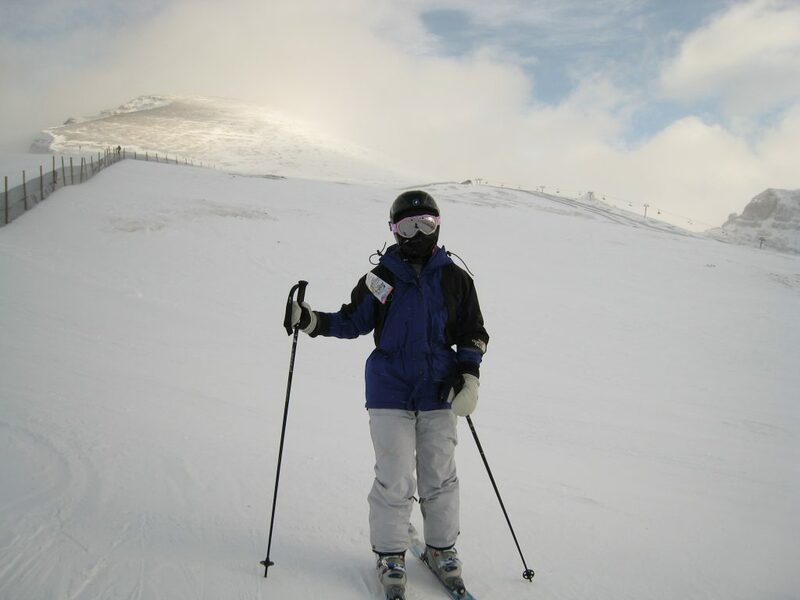 Sunshine Village has a lot of really steep terrain, and with enough snow it would be a whole different experience than when we were there. “Delirium Dive” is their famous double-black terrain, and it was hard to imagine it even being skiable until much later in the season. Early season it looks pretty rocky. There is a main line down from the bottom of the stairs that looks pretty easy, but the stairs would be the scary part for me! There is more very steep terrain on Goat’s Eye but it was completely stripped of snow by the wind when we were there, so there was only one way down on the intermediate run that is the easiest way down. The snow they had was great though, as it usually is in our experiences going to interior BC and Alberta, and it was a spectacular place to ski with that scenery. Sunshine Village often has the most depth in all of North America in November, so Christmas skiing is usually going to be good and it’s a safe bet for planning a Christmas ski vacation there. 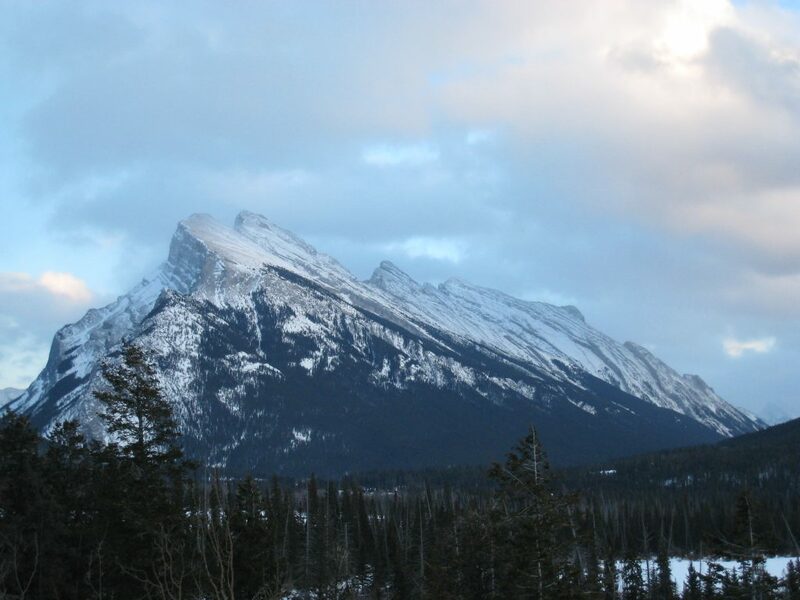 We ranked this a bit low due to the strange mountain layout, but it’s worth a visit if you are in Banff. It’s a unique experience for sure.